Pagani says the Huayra will accelerate from 0 to 100 kmph (0-62 mph) in 3.3 seconds. DETROIT -- Italian supercar maker Pagani has released photos of and information about the Huayra, the successor to the Zonda. 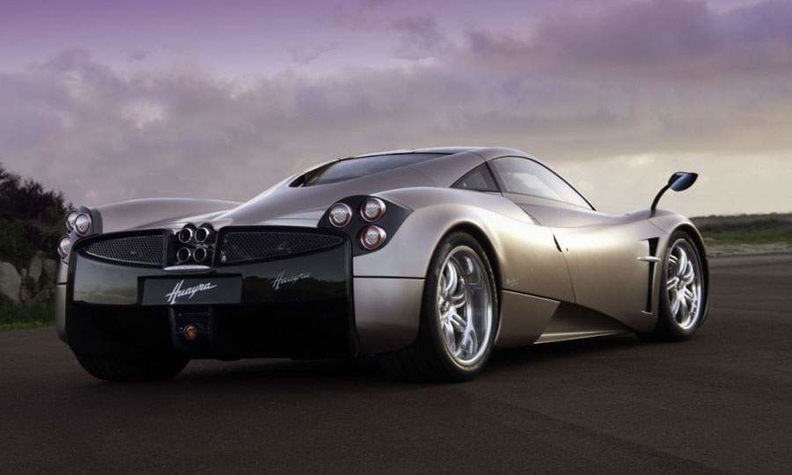 The Huayra -- pronounced "WHY-ra" -- has been under development for seven years. It will debut at the Geneva motor show in early March. The gullwinged supercar is expected to cost around 1 million euros ($1.37 million) when it goes into production. Power is supplied by a twin-turbo 6.0-liter V12. The engine block is sourced from Mercedes-Benz and is shared with the SL65 Black Series. But Mercedes tuner AMG developed new heads, turbos, pistons and exhaust manifolds for Pagani. The automaker is offering two levels of tuning--a base 700-hp version and a Sport tune with 730 hp. The engine is mated to a seven-speed gearbox with paddle shifters. The gearbox is built by racing specialist Xtrac. The engine is mounted behind the seats, driving the rear wheels. 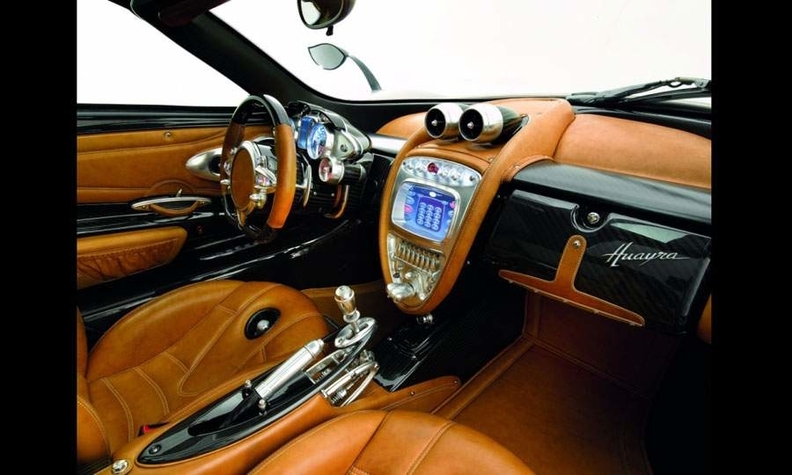 • Pagani says the Huayra will accelerate from 0 to 100 kmph (0-62 mph) in 3.3 seconds. • The body is constructed primarily of carbon fiber, including the gullwing doors. • The Huayra includes active aerodynamics; motorized flaps at each corner of the car operate independently of each other. The flaps are deployed to increase aerodynamic downforce for acceleration, braking and cornering. • The front suspension is height-adjustable. That's important for clearing speed bumps in parking lots. Also, the height adjustment counteracts nose dive under hard braking.